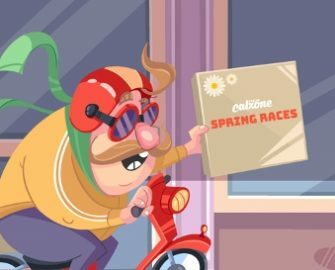 Casino Calzone – Cal’s Spring Races! Play for Mega Spins and Cash! Win Real Cash, Mega Spins and tons of Cal’s own Casino Cash! Holy Calzone, time is flying. It is Cal’s second Spring season since he launched his own gaming hangout and to celebrate the occasion in style, he is inviting all players to no less than four weekly races with prizes of €250 in cash, up to 150 Mega Spins, worth €1.00 each or tons of Cal’s Cash, plus a 4-week marathon Spring Race running until 10th June 2018 where the TOP10 spinners will share a final cash prize pool while 15 runners-up players can look forward to tons of Cal’s Cash, his own casino currency that allows players to spin on the Holy Calzone Wheel where they can win more prizes. Do you like proper Spring races, be it a sprint or a marathon? Then Casino Calzone is the place to be in until 10th June 2018. Weekly leader boards will reward the TOP25 players with cash, Mega Spins and Cal’s Cash as well as the monthly leader board will have 10 players sharing a final cash prize pool and Cal’s cash prizes for 15 runners-up contestants. Spin on a selection of slots with minimum €0.50 cash bets and score the highest bet multiplier to race to the top on the leader board, which is available on the promotion page and will be regularly updated. Every week, the TOP25 scorers will win prizes: 1st – €250 in cash | 2nd to 10th – 20 to 100 Mega Spins, worth €1.00 each | 11th to 25th – 10K to 100K Cal’s Cash which can be used to buy Holy Calzone Wheel spins where a range of prizes is up for grabs. The Mega Spins are added on a selection of games: Week 1 – Sakura Fortune | Week 2 – Orient Express | Week 3 – Butterfly Staxx™ | Week 4 – Easter Island by 15:00 CET on 21st May | 28th May | 4th June | 11th June 2018. Wagering requirement is 35x FS winnings with a maximum withdrawal capped at €1,000 per batch of Mega Spins. 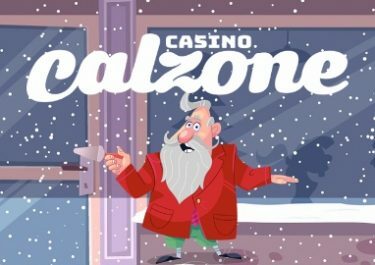 Casino Calzone bonus terms and conditions apply. The TOP25 players scoring the highest overall bet multipliers throughout the weekly races will win a share of the final prize pool: 1st to 10th – €250 to €50 cash | 11th to 25th – 400K to 100K of Cal’s Cash, credited by 15:00 CET on 21st June 2018.